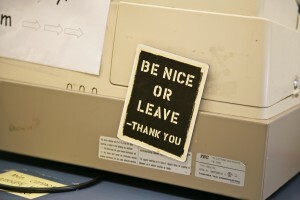 Lots of companies have their own way of treating negative feedback about their brand. Some companies, such as Amazon, welcome it; others simply don’t give their customers much chance to leave any, like Sky. It seems that bad feedback can really hit a nerve with some companies, and this is especially true when it’s published on platforms like review sites and social media, visible for all to see. It’s surprising the lengths that some companies will go to, to prevent such feedback from denting their precious reputation. Some have been known to draw customers into contracts before doing business with them that include anti-disparagement clauses, meaning the customer is prohibited from publically posting anything negative about the brand afterwards. Other examples include promising rewards or discounts in exchange for “positive” reviews; ‘purchasing’ positive reviews, or authoring positive reviews oneself through the creation of fake user accounts. These bad habits are not only ingenuous and deceptive; they also do little to quell bad feedback, and much less for the company’s overall image. Below are just some of the effects of these incredibly poor practices. In the first instance, preventing customers from publishing bad feedback only tells them the company has something to hide. Censoring a customer’s opinion is extremely devaluing – it tells them their thoughts don’t matter. While it may stop the customer from publishing anything publically, it certainly doesn’t stop them from sharing it through word-of-mouth with an unlimited number of people…as well as walking away from your brand for good. Offering reward for a positive review is likely to reduce the credibility and genuineness of any such review…even if the customer really means it. The concept of negative feedback isn’t typically a pleasant one for anybody, and probably less so for businesses. The idea that customers could have free reign to trash something business-owners have worked hard to create can be difficult to digest. But it’s time to tackle the fear head on, and realise that negative is, perhaps literally, the new positive. If you’ve been indulging in any of the bad habits outline above, stop! The best companies are the ones that listen to, analyse, and learn from negative feedback, using it to improve and grow their service. They’re also the same ones that openly acknowledge negative comments posted publically and seize them as opportunities to impress by delivering some excellent service recovery…not just in the eyes of customers, but spectators too. Negative feedback doesn’t always need a response, but when it does, its best to settle any disputes privately with the customer, away from the public field. To protect your dignity, however, you may wish to publically acknowledge the customer’s comment on the public platform where it was posted, letting them know you will be contacting them directly to find out what went wrong. When employers and businesses change their perceptions of negative feedback, they can open themselves up to some excellent insights and valuable opportunities for growth and engagement. There are plenty of reasons to see negative feedback (yes, even the public kind) as a good thing. So read ahead, and learn to change your thinking today! Negative feedback is an opportunity to engage genuinely. A ticked-off customer can later become a brand’s biggest advocate, according to Faith Albert of 2Checkout.com. All the company needs to do is go the extra mile to reach out to the customer and hear their point of view. In most cases, the customer just wants to be heard. Having both positive and negative comments written about your company can in fact increase its credibility in the eyes of customers. In a study by Revoo, 68% of customers were more drawn to companies that had a mix of the good and the bad, rather than being all sunshine and rainbows. Having 100 percent positive reviews is bound to look augmented and customers will suspect that they are not entirely believable. New customer reviews of any kind provides a constant stream of fresh content about your brand on the web, helping your search engine rankings go up tremendously. Content written by users is also much more dynamic and varied than static content on a brand’s website, contributing to your brand appearing in more searches. When your company DOES show up in a search, customers are more likely to gravitate towards it if it has reviews and a star rating listed alongside it. This lets them know there is more information available about this brand than others, and customers are always out to find out as much as they can about a brand before doing business with them. Ironically, openly accepting responsibility for a mistake can actually earn your brand more respect with customers than not having made a mistake at all! Mistakes let people know that your brand is human…and apologising for said mistake suggests that the human cares about his/her actions. In exceptional cases when you feel that a public review was unwarranted, you can contact the review site, be it eBay, Yelp or Amazon, and explain your reasons for disputing the review. If the review is outwardly nasty and/or has evidence to suggest its author isn’t being truthful, the site may remove the review or contest it with the user. Encourage feedback as much as you can…all kinds of it! There is no need to offer a reward for customers leaving feedback. Make it easy for customers to communicate feedback via a variety of channels – your Facebook page; on Twitter; on a listing site or via surveys and polls. Let the results speak for themselves and don’t try to keep anything hidden. Censorship should not even be a thought. Get the timing right. When asking customers for feedback, it’s usually best to strike while the iron is hot; i.e. not too long after they have made a purchase. This article was contributed by Adele Halsall. This entry was posted in Articles and tagged handling negative feedback, negative feedback. Bookmark the permalink. Great article. One big problem with our society today is many people don’t take responsibility to their actions, accidental or not. Step up to the plate, be honest, resolve it and move on. You will be more respected for it in the long run I believe. Nice article. Especially in the case of start-ups, the most impactful, less costly and direct way to grow holistically is to work on customer feedback, specifically the negative feedbacks. Consider that 9/10 people won’t bother to leave negative feedback, they simply never return, and the management team are oblivious to what could be a flaw in their training, systems and standards. So the benefit to a company that is truly committed to service, is that they get the opportunity to review and fix what might be a costly, invisible problem. Good and interesting to read. One should develop theattitude of accepting mistakes and take earnest steps torectify the shortcomings. Its an opportunity to know what and where we went wrong. 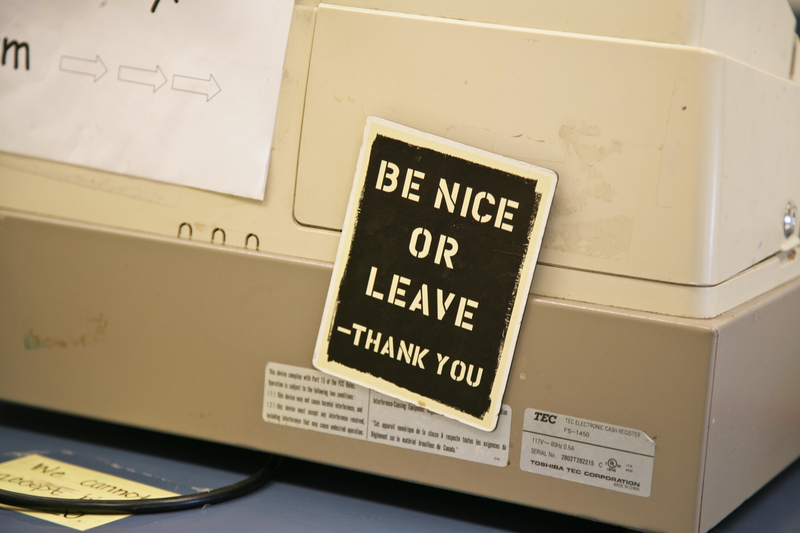 Try to cash in on the negative feedback by taking corrective action. Great article. Negative feedback helps for startup company to improve their service. Negative feedback should be encouraged to improve services. It is useful to know how to make better complaints to achieve the results you want. Never phone to complain angry or rude. Make an effort to be polite about your your negative feedback and let the telephone operator know that you are not angry at them. Negative feedback is an opportunity. If someone complains we have a chance to make the situation right and learn from it. So my approach is to thank anyone who complains and tell them I value their feedback and we want to make anything we haven’t done as well as we can right. Good and fascinating content to read. One ought to develop the angle of accepting mistakes and take positive steps to fix the shortcomings. Its a chance to grasp an opportunity to know where we went wrong. Try your best and get feedback from others so this type of error doesn’t happen again. Great article. One huge drawback with our society nowadays is many of us don’t take responsibility for their actions, accidental or not. intensify to the plate, be honest, resolve it and go. you may be additionally revered for it within the long-term I feel. Good and attention-grabbing to scan. One ought to develop the angle of acceptive mistakes and take earnest steps to rectify the shortcomings. It’s a chance to grasp what and wherever we tend to go wrong. try and benefit on the feedback by taking corrective action.